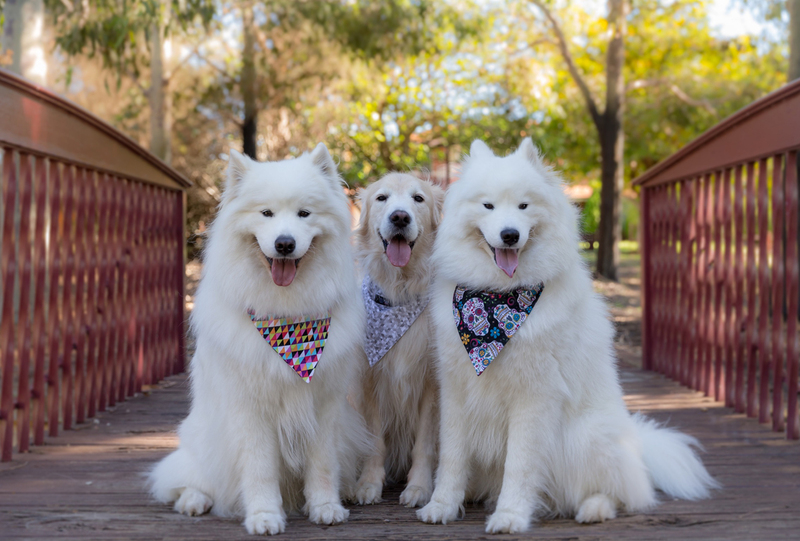 Hashtag Hipster Hounds is a Sydney business designing handmade collars and accessories for fashion-conscious hounds everywhere! 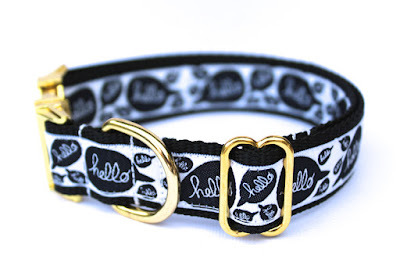 Designed with style and practicality in mind, Hashtag Hipster Hounds collars and accessories can be seen on the tiniest Terriers through to gigantic Great Danes locally and internationally. 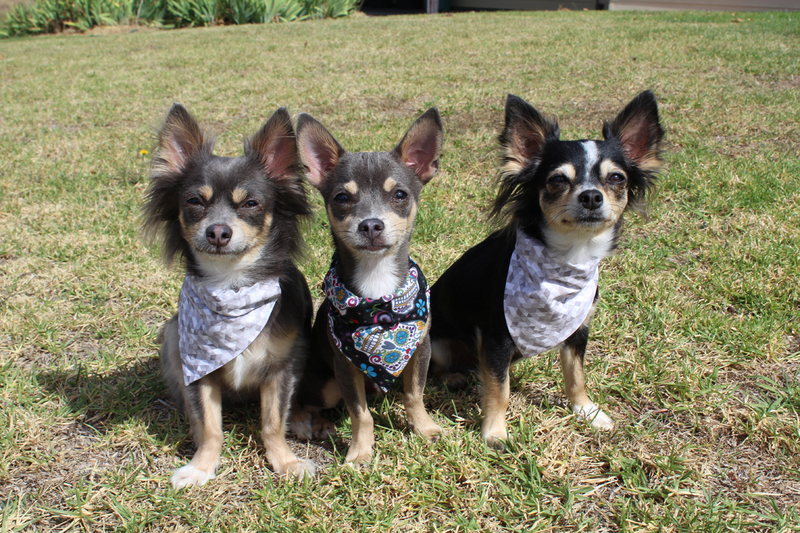 Each pawsome product is lovingly made under the watchful supervision of three handsome and fussy Chihuahuas named Chase, Ashton & Vinnie - also known as the Quality Assurance Team! 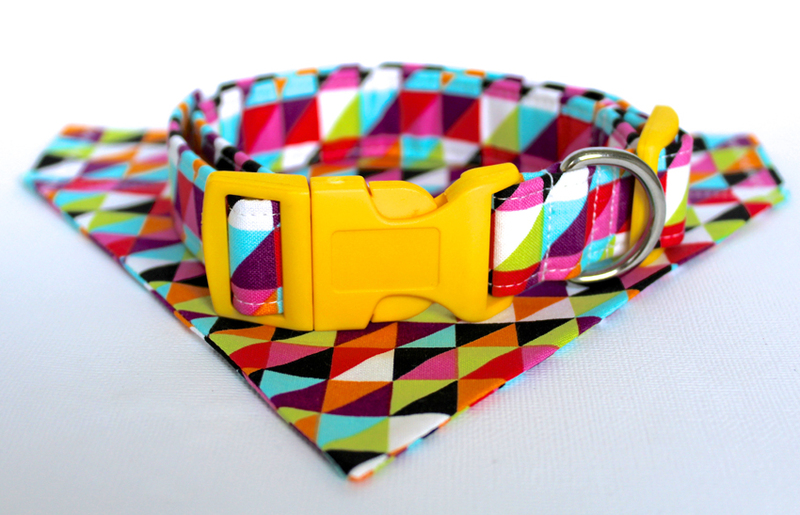 Depending on your dog's "hipster factor", you can choose from traditional custom-made dog collars, funky dog bandana collars or for those special outings or pawties, why not select a classy bowtie and collar combo? The Luxe Collection is made using the highest quality materials including premium gold metal hardware, durable yet comfortable polypropylene webbing and stunning jacquard ribbon sourced from Germany. Bandana Collar Combo in "Bright Geometric"
Release your dog's inner hipster with a bold and stylish dog bandana collar, fully adjustable to ensure a comfortable fit for your furry friend. 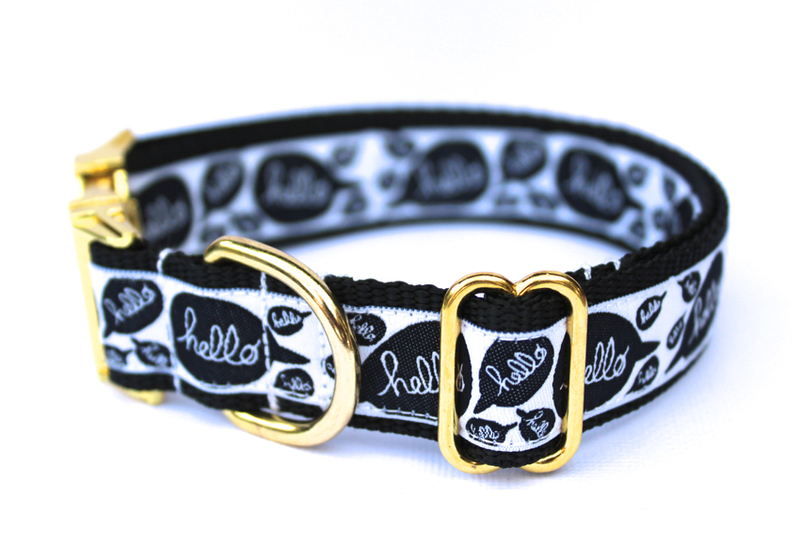 The bandana is easily removed and reattached to the collar as it simply slides on and off. This allows for versatility of style, and easy washing when required. 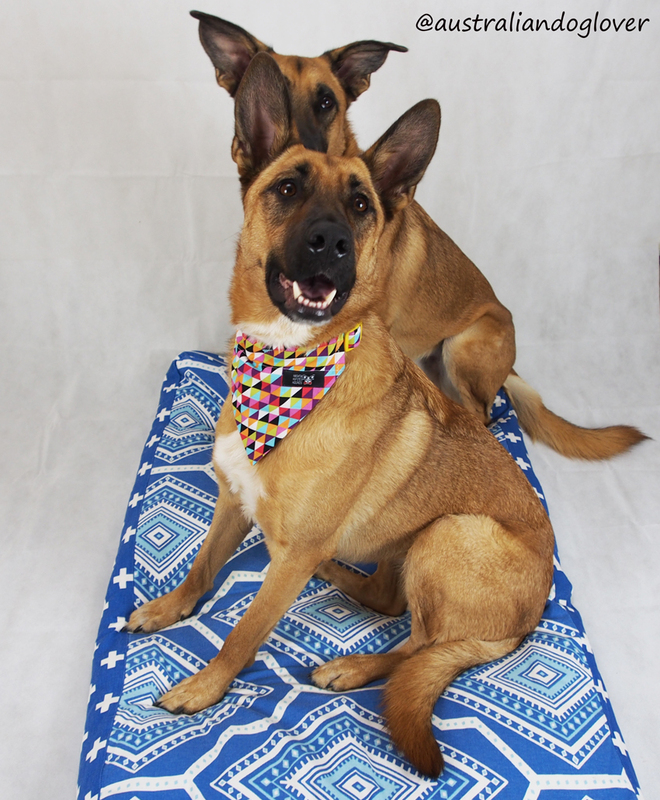 The Bright Geometric dog collar and bandana combo did catch our eye as a great fold to our beautiful Malinois coat or our "orange dog" as we sometimes call her! Even though the medium collar size (14-20'') was big enough, in retrospect we should have opted for the larger size (18-26") as the bandana fabric design would have made more of a statement. The standard set came with plastic hardware (tri-glide and buckle) and a strong nickel-plated D-ring to attach a lead to. For a more premium look, you could select the metal hardware (only an extra $5) which gives you the option of engraving on the buckle (this makes a nice gift idea for the dog lover in your life). 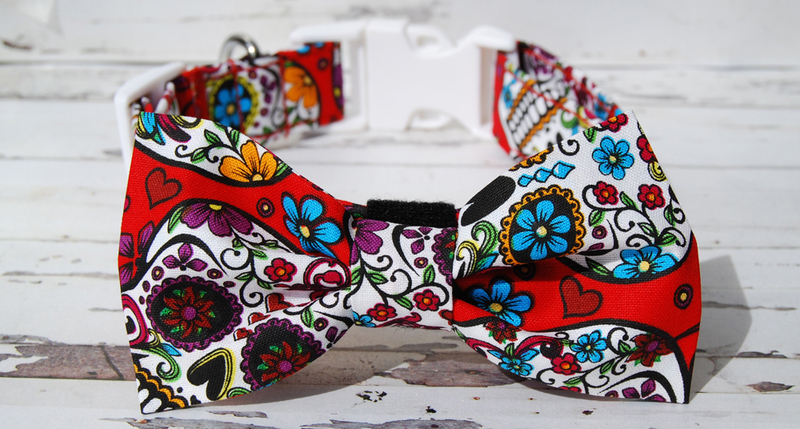 All Hashtag Hipster Hounds bow tie combos come with the same collars as described above, but rather than a bandana, they include a detachable bow tie accessory. The bow tie can be easily removed and reattached (ideally by human hands!) as often as you please thanks to the velcro on the back. Ready to inject some style into your pooch's winter wardrobe? Enjoy a 20% discount using the code AUSDOGLOVER20 at the Hashtag Hipster Hounds Etsy shop.